With 134 bridges, 44 locks, 20 major tributaries and countless untold stories, this river is a saga unto itself … an historical pageant worth experiencing … and we did. Join us. 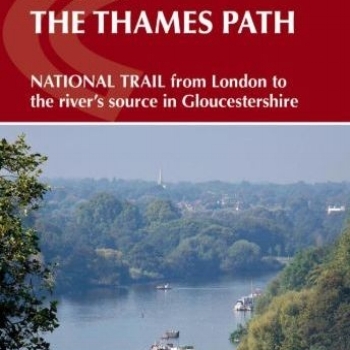 About 20+ years ago, I read an article in a travel magazine about walking the Thames Path from its headwaters in the tiny village of Kemble, England in the Cotswolds along its circuitous 215 mile course to its outlet to the sea at the Thames Barrier in London. It sounded like an interesting adventure … and really, only 184 miles of it is actually walked. I clipped the article and put it in a file for later reference. I referred to it a few times and somewhere in the last two decades, the article was lost or misplaced … but not the notion of walking it. I read another article in Smithsonian (2012) from which I gleaned the quote above and it piqued my interest once again. It’s been on my bucket list for a long, long time. In September 2018, we walked the Thames Path and documented our trek day by day. One bucket list item checked off. Preparing to Walk the Thames Path - Lots of advance Preparation was done prior to leaving for england. Read about the prep and the ‘kitting up’ for our walk. Thames Barrier to Tower Bridge Our first full day on the Thames Path from the Thames Barrier to the Tower bridge via the docklands and greenwich. Tower Bridge to Putney Bridge to Richmond Bridge … through downtown London past well-known landmarks, over bridges, under bridges, around bridges. Richmond to Hampton Court to Chertsey The path leads us by so many wonderful sights including the Hampton court palace. Chertsey to Windsor via Runnymeade History everywhere … from the signing place of the magna carta to windsor castle. Windsor to Maidenhead then on to Marlow We’d miss so much if we weren’t walking! Anglo-Saxon churches, castles, wildlife and other walkers. Nearing the End The river is becoming narrower and narrower as we get closer and closer to the Thames source. Marlow to Henley-on-thames to Reading Not only do we take in the sights but we get to snack on blackberries along the way. A Day in Oxford, England We didn’t fit in half the things the we planned to do, but what we did see and do was absolutely wonderful. What a city! Ewen to the Source A mix of exultation and the bittersweet end to our walk on the thames path. Oxford to Newbridge to Lechlade Meeting old Father Thames at the St Johns Lock indicates that we’re getting near the end of our trek.